Doors 5:30 p.m. | Show 7 p.m. This show is included in the full season package, half season package B, and the music series. 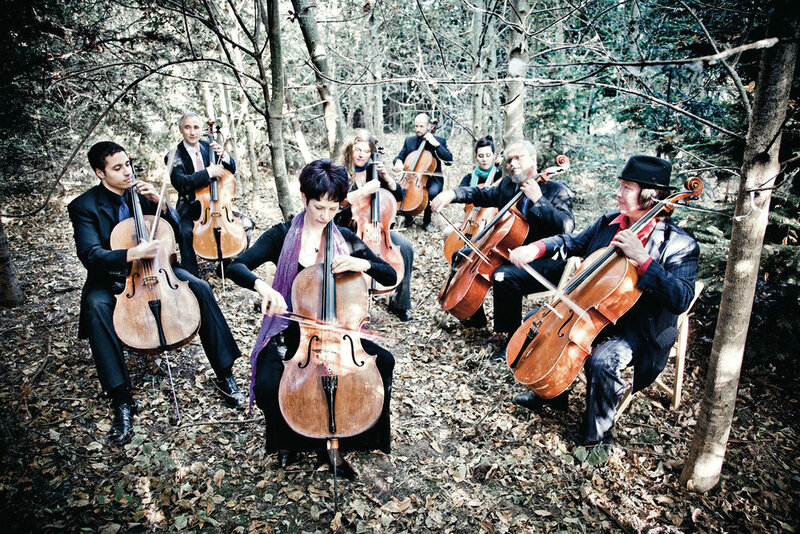 Portland Cello Project is a huge ensemble including a horde of cellos, some element of winds, full rhythm section of drums and bass, and guest vocalists. 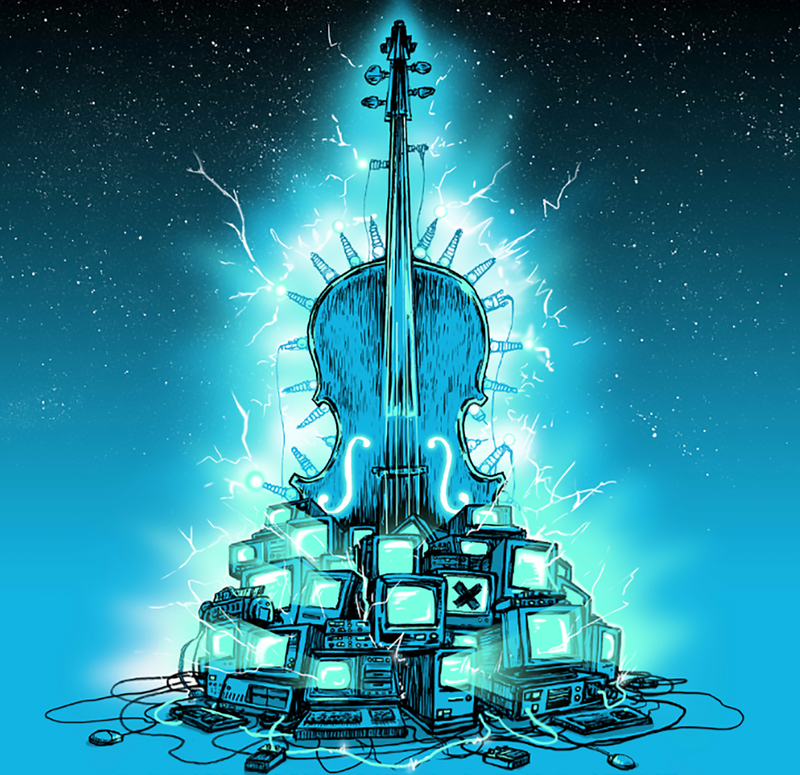 From The Dandy Warhols to Zoe Keating and Peter Yarrow, Portland Cello Project has collaborated with a variety of elite performers as they brilliantly crisscross genres, instilling classical music through unexpected arrangements. This concert highlights the entirety of Radiohead’s chart-topping album “OK Computer,” with each song carefully arranged: some instrumental, some with vocals; some whisper quiet, and others on as large a scale as possible. 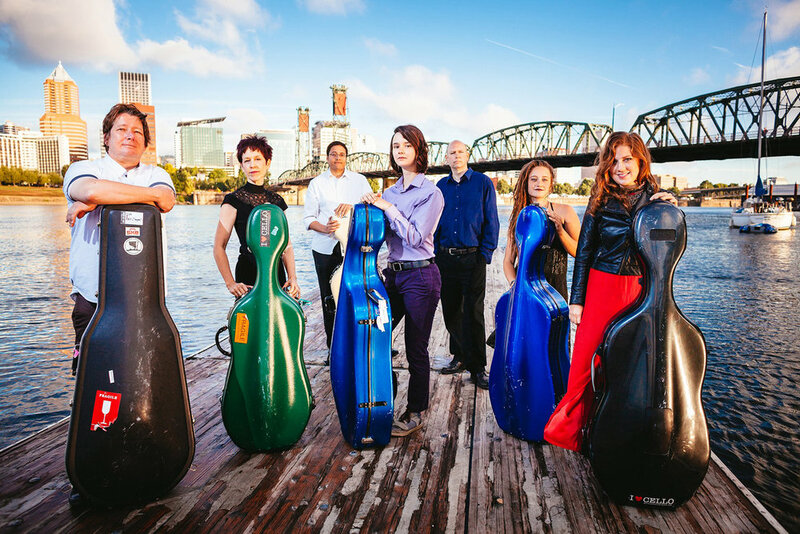 Portland Cello Project has been performing this repertoire for the last five years, constantly evolving and maturing their arrangements. Our new charcuterie boards offer a seasonal assortment of gourmet cured meats, cheeses, sliced baguette, grapes, and marcona almonds. Served with stone ground mustard. Marinated and flame-broiled flank steak thinly sliced and topped with our caramelized Vidalia onion gravy. Served with toasted orzo rice pilaf and fresh vegetables tossed in butter and fresh basil. Hand cut Pacific True Cod coated lightly in tempura batter and fried quickly for crispness. Served with crispy seasoned fries, jicama coleslaw, tartar sauce, lemon wedges, and malt vinegar. Salmon fillet lightly seasoned and flame grilled with a lemon butter glaze. Served atop a bed of crisp romaine lettuce tossed with our special caesar dressing, homestyle croutons and parmesan cheese along with grilled garlic french bread. Bremerton's world-famous McGavin's Bakery presents Chocolate Champagne Cake: sinfully rich chocolate cake layered between new chocolate champagne filling and lightly sweetened chocolate champagne icing. This cake is so devilishly good that you will be coming back for more! Fresh-baked apple pie served with a scoop of vanilla ice cream. The Admiral’s signature New York style cheesecake, made with Harvey’s Butter Rum Batter, and topped with Harvey’s-infused whip cream and candied walnuts. Aged for 22 months in 25% new French oak. Almost impenetrably black in color, with great balance and length, Hallelujah is hedonistic, balanced, rich and nuanced. The nose is loaded with orange liqueur, raisins, exotic flowers and cedar leading to silky flavors of licorice, blackberry, cherry, caramel, cinnamon, bittersweet chocolate and tobacco.